55 years of continuing blockade: Too long, too wrong! · The hostile U.S. blockade of Cuba ― a noose around Cuba’s economy and an affront to Cuba’s right to freely determine its own future as a sovereign country ― has existed since 1960. While the United States has been obliged to reopen diplomatic relations with Cuba, the blockade is very far from over and U.S. regime-change objectives have been reaffirmed. 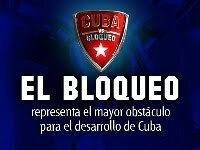 · Unparalleled in history and opposed overwhelmingly 23 times in votes on United Nations General Assembly resolutions, the blockade must be ended now. There can be no “normalization” of the U.S.-Cuba relationship while the blockade is in place. 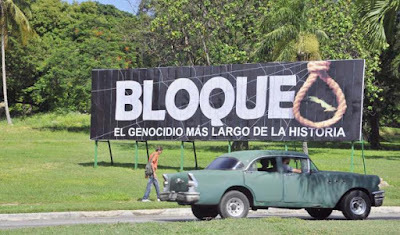 · The Canadian government, which has opposed the blockade since 1960, must frequently and vigorously voice this position in its diplomatic relations with the U.S. government and in the public domain.